Planning a trip to China is an exciting adventure in itself. There are a lot of things to think about before you go, and some things that you have to do before you even set foot in the airport. For instance, while US citizens don't need a visa to enter many countries, you will definitely need to get one to enter China. There are also certain products, such as personal health and hygiene items, you'll want to bring from home; China is a vastly different culture and there's a good chance you won't find everything you need there. These are just a couple of the many things you'll need to organize before a trip to China. You would do well to read the US State Department's very helpful Traveler's Checklist, which includes tips to help you prepare for any trip abroad, and anything the state department publishes online about China. You'll, of course, need to have a valid passport to visit China, and these are issued by the US State Department. You can renew your passport or get a new one online. A routine application takes four to six weeks from the time you apply for the time you receive your passport. If you need it within two to three weeks, you'll need to visit the closest Passport Agency (also known as a passport center or office), where you will request an "expedited" passport. To make this request, you need to have proof of immediate international travel, such as a ticket, and the "expedited fee," and an appointment for each application submitted in person. To schedule an appointment, visit the online passport appointment system. Passports are typically a little more than $100 for a first-time adult passport, an adult renewal passport, and a minor's passport. (Even babies as young as newborns need passports.) The fee for expediting a passport is less than $100, and for a few more dollars, the State Department will arrange overnight delivery for you. It is also possible to get a passport in eight days or less (called "expedited at the agency"), but that is issued by your local Passport Agency, and you will need to inquire there what they can do to help you in that regard. You also need an appropriate visa to enter and travel around in China. Visas are issued by the Chinese embassy or consulate-general serving your area. You can deal in person with the embassy or a Chinese consulate if you don't mind the bureaucracy, or you can ask someone to navigate this for you. Your travel agent might be able to manage the process for you. Or you could find a special visa agent in a major city near you by going online and searching "get China visa (your city)." You will pay for the visa, which is typically under $100, and if you are using a special visa agent, you will pay the agent as well. You've heard about SARS and Avian Flu. You're concerned, but there's no reason to cancel your trip to China. It's always smart to take precautions and to research the latest about what's happening healthwise in the area you'll be visiting. For the moment, the US Center for Disease Control (CDC) doesn't require any vaccinations before you travel to China, but CDC doctors do make a full range of recommendations wherever there is cause for concern. Check the CDC's Travel Health Notices well before leaving and close to the time you leave to see if any new health risk has popped up that might require a vaccination. Level 1 – Watch: Reminder to follow the usual precautions for this destination. Level 2 – Alert: Follow enhanced precautions for this destination. There are also common sense practices. For instance, always drink bottled water in China, never tap water. And always be vigilant about the cleanliness of where you are eating; it's counterintuitive but street food, for instance, is some of the freshest available and could be superior to hotel food. Ask questions locally to find out what's best. Take some basic health and medical books with you, or know where to look online. Plus, take a first aid kit and medicines such as a good antacid that you might need in case you have a run-in with a bad dumpling. In the past, travelers' checks were the way to carry money around when abroad. Now, with the prevalence of international ATMs and credit cards, you can use these convenient ways to make your purchases. Learn about the Chinese currency, the renminbi or yuan, before leaving. Note that China keeps the value of its currency low against the dollar to allow cheap exports to the US, which means you could find bargains in China. Check the exchange rate before leaving to have a good idea of how much you might need to exchange at the airport. Traveling with children is stressful. But you can alleviate some of that stress by bringing what you need and buying the rest. Being prepared is most of the battle when you've got kids in tow, so make it easy on yourself. Knowing what kinds of activities are available for little ones is also helpful because, at some point, they will be bored with temples and monuments. Now that you've got the mundane bits out of the way, it's time to focus on planning your itinerary. Are you into bright lights and big cities? Then you may want to start out in Shanghai. 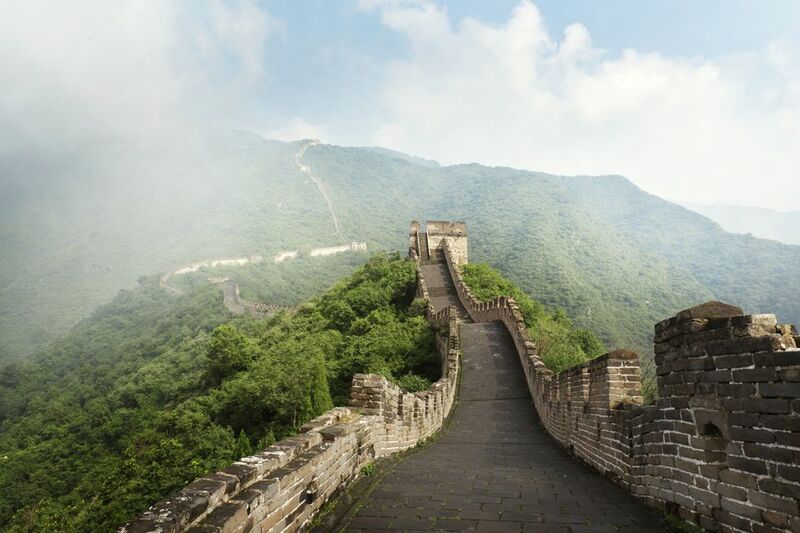 Perhaps you want to learn more about China's long history, in which case the Great Wall would be worth exploring. Whatever you decide, you'll exhaust your time for planning before you exhaust the possibilities. Most important: Pack light. You will likely end up doing so much shopping that you'll fill up your suitcase with purchases. So don't bring much with you; you won't need it. That said, there are a few essentials you should have along with you. As the saying goes, if you don't want it to rain, bring an umbrella. Be prepared on the health front and bring along a first aid kit so you don't have to worry about minor illnesses should they pop up. If you have it with you, hopefully, you won't need it. There's so much to see and do in China that you'll want to focus on the good. As with any new country and culture you encounter, there are annoyances and irritations. And there are plenty in China. But don't let these get you down. It's best to learn what they are and try to navigate away from them. Follow our simple primer to ensure you don't ruin your trip.